Y’all ready for a Hong Kong drama that is not TVB? When Dou Yat Fei, an undercover cop for the past 10 years, returns to his job on the Hong Kong Police Force, he must tackle conflicting loyalties that pits his former life as a crook with his current one as a high-ranking police officer. 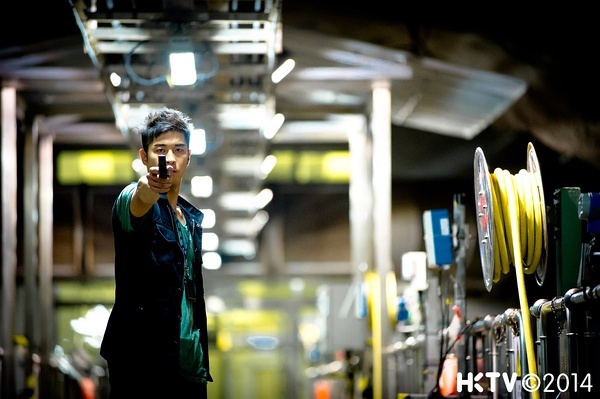 His friend and previous partner in crime, Cheung Kwan, won’t stop until he successfully convinces him to abandon his cop identity for his “true” one as Cheung’s second-in-command. A police officer’s wrongful murder accusation and its connection to Dou and Cheung’s past may be just the tipping point that pushes Dou to finally choose if he wants to remain as the good cop or go back to his life of crime. As far back as my memory goes, I’ve been watching TVB dramas. Even despite the recent decline in quality, they remain dear to my heart. Chock it up to loyalty or familiarity, but I just can’t picture myself not watching them. In the world of dramas, “TVB” and “Hong Kong” are almost synonymous. The company has had a monopoly on the Hong Kong drama scene for so long that it’d be redundant to describe HK dramas as anything but TVB. 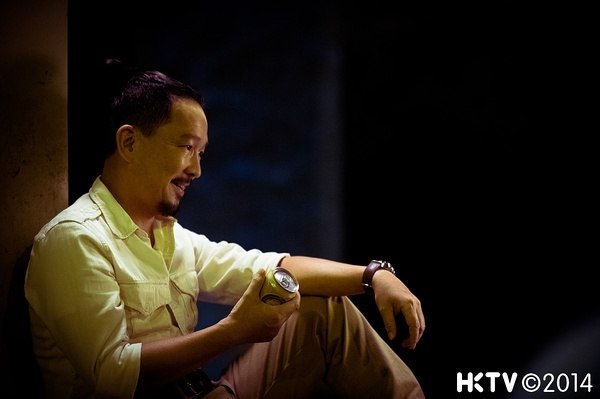 When the new startup television company, HKTV, launched with its own original dramas, you can imagine my excitement and, of course, skepticism. What better way to test out this new channel than with an undercover police & triad drama a.k.a. my favorite plotline, like ever. After the first two episodes of The Borderline, I’m not exactly ready to crown HKTV as the new successor to TVB, but I do think Hong Kong drama viewers may soon find their loyalties to TVB wavering. Perhaps a coincidence, but the latest TVB hit was the much raved about Line Walker, which also happened to be a police & triad drama. Spoiler alert: I loved it. As I was watching The Borderline, it was inevitable that I’d be comparing the two dramas side-by-side. With Line Walker, I knew what I was walking into, whereas I didn’t have a single clue what the story was going to be in Borderline. Every time I thought I knew where the story was headed, the show would throw me for a loop and rapidly change its direction. A little bit frustrating, but definitely in a good way. I tend to drop dramas immediately when they get stagnant, but I don’t think I’ll be having that problem with Borderline as long as it keeps throwing surprises at me. In the first episode alone, there were quite a few, “OH SH*T!” moments where I actually yelled that aloud at my TV. That’s gotta be a sign of a good drama, right? As I watched Borderline with its new sets, filming locations, and improved filming quality, it definitely felt foreign. Still, I couldn’t shake the feeling that I’m watching a TVB drama…but not. It’s like I’ve been conditioned to recognize any HK or Cantonese drama as immediately TVB. HKTV probably recognized that their newness may not be welcomed by the TVB diehards, so they made the transition easier by employing some old familiar faces from TVB. I think a lot of the loyalties that people have for TVB is more so for the actors than the shows themselves. It’s fun when you’re able to talk about your favorite actors and actresses as if you actually know them because you’ve seen so many of their dramas. And it’s on a first name basis, of course. So, it makes perfect sense that Borderline and HKTV would try to bring some of those loyalties over. It’s a nice change to see Liu Kai Chi and Dominic Lam, both with TVB roots, lead this drama instead of another idol actor. Although TVB doesn’t have too many formulaic idol dramas, they typically still cast the younger, attractive actors for the lead roles. That often means that quality actors like Liu Kai Chi and Dominic Lam are relegated to secondary characters, which doesn’t really do justice to their skills. If you do find yourself needing some idol goodness in your dramas, Lawrence Chou kind of has it covered in Borderline. But out of everyone in the cast, I’m the happiest to see Leila Tong back. I loved Leila when she was still with TVB, and have seriously missed her these past couple of years. All in all, I’m really liking the cast and glad that they’re in the first HKTV drama I’m watching. My overall feeling towards The Borderline is that it’s different and even strange at times because of how un-TVB it is. But while it is certainly different, it’s all in a good way. I don’t know how indicative The Borderline is of future dramas produced by HKTV, but I’m encouraged to think that they will all continue this trend of distancing itself from TVB, but still retaining some of its familiarity. I’m quite enjoying this drama, and think that anyone who watches TVB dramas will be pleasantly surprised by how refreshingly new it is. Even if The Borderline doesn’t live up to the hype for its entire run, the competition between HKTV and TVB should at least result in more options and better dramas for us viewers. HKTV currently can only stream its dramas and programs online because its repeated applications for a broadcasting license was rejected by the Hong Kong government. The public was asked to vote for which dramas they want to air first on HKTV. The Election, also starring Liu Kai Chi, came in first place with 101,250 votes, and The Borderline came in second with 36,587 votes. Liu Kai Chi previously worked for TVB for 25 years, but chose not to renew his contract in 2005. Lawrence Chou was recently in the Hong Kong movie, Aberdeen, that stars Louis Koo, Miriam Yeung, Gigi Leung, and Eric Tsang.